Pruducts - Changzhou Fushite drying Engineering Co., Ltd. 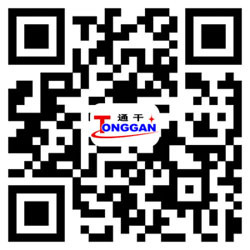 The drier is suitablity in chemical industry,light industry, pharmaceutical, food, plastic, oil, slang, salt, sugarand so on, for drying, cooling and weting. In conventional fluidized bed dryer basis, made a lot of improvements to make it meet the chicken dry and production process requirements, and has been applied to a number of chicken producers, well received by users. The internal heated fluidized bed/fluidized bed dryer was developed on the basis of a conventional fluidized bed dryer and an indirect heating dryer. 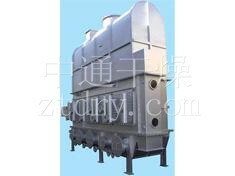 The heat exchanger is immersed in the fluidized and dried material. The heat required for dehydration is provided by a tube heat exchanger and fluidizing hot air. The air velocity required to dry the material is small. The main heat is supplied from the inside of the heat exchanger. The hot air is mainly used for the fluidization of the material, so the hot air speed required is much smaller than that of the conventional fluidized bed dryer, and the power consumption and heat loss of the exhaust gas are drastically reduced. 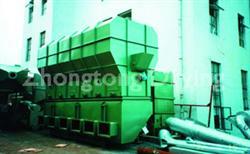 Boiling dryer is also called as fluidized - bed. It consists of air filter, heater, fluidized - bed main machine, feeder, cyclone separator, cloth bag duster , high-pressure centrifuge fan and operation table. When air is purified and heated, it is introduced from the bottom of induuced-draft fan and passed through the screen plate of raw material,. 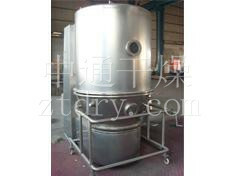 In working chamber, the state of fluidization is formed through stirring and negative effect. The moisture is evaporated and removed rapidly and the material is dried quickly. 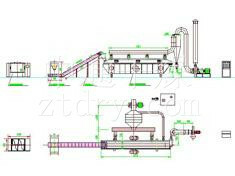 The machine is main used for drying powder or granules from pharmaceutical, foodstuff, chemical and so on industries. 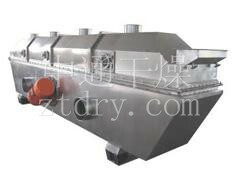 By absorbing foreign advanced technology, based on to improve and optimize the design of the wedge-shaped hollow paddle dryer for paste, granular, powder, paste material indirect heating or cooling , to be completed by drying, cooling, heating, sterilization, reaction, low temperature calcination and other unit operations. Oar blade harrow Dryer a new type drying machine ,which is designed with the combination of oar blade dryer heat drying principle, with a higher drying efficiency, for a variety of raw materials.